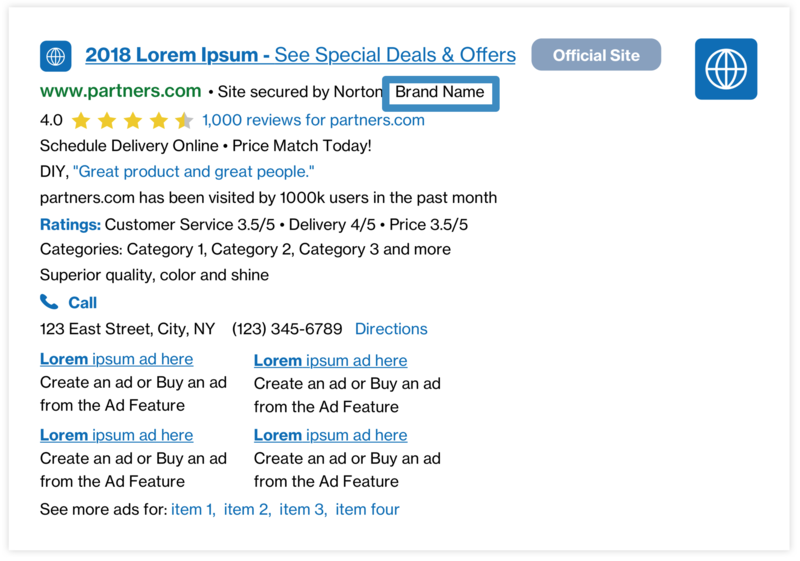 A Brand Annotation adds a brand label to an ad when eligible. This annotation enhances user confidence and can attract more clicks because of a higher perceived advertiser reliability. Results: Some Partners have seen an estimated lift of +0.9% CTR and +3.6% RPM when combined with Top Ad Annotations and Security Badge Annotations. Results may vary.